Welcome to our Lingerie & Swimwear Shop. Girls need look no further, we stock A to K cup, back size 28-46 in all the best brands with quick shipping worldwide. Petite to Plus size & larger cup Bras/Swimwear is our specialty with great savings on normal retail price. 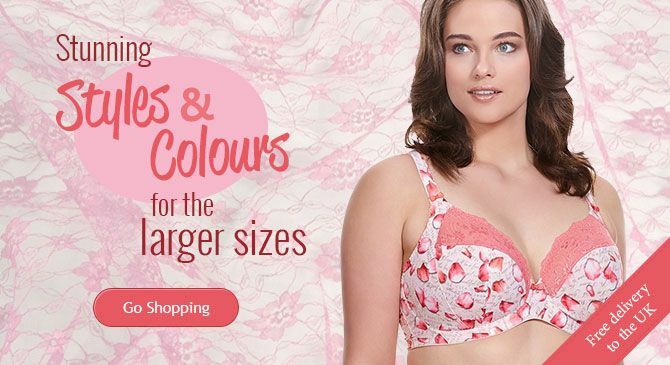 Our ranges are direct from the top brands, Fantasie, Freya, Elomi, Panache, Curvy Kate, Wacoal, Gossard, Lepel, Charnos, Goddess, Sculptresse, b.tempt'd, Slenderella. We know how annoying it is to reach checkout and see hefty shipping charges, don't worry, it's Free shipping worldwide on everything! FREE WORLDWIDE SHIPPING ON EVERY ITEM!! Some website's can sometimes look cheaper on the item but when you work out their shipping costs on top (especially for overseas shipping) and compare them with the price you pay us, we think you will be chuffed! Get ready to save pounds! !